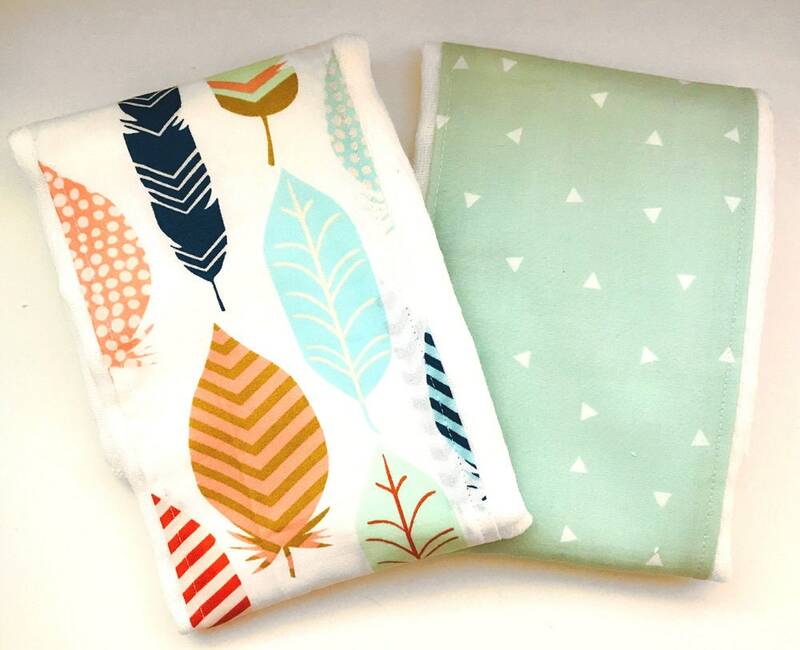 A beautiful set of two burp cloths with fabric center panels in stylish colors and patterns. 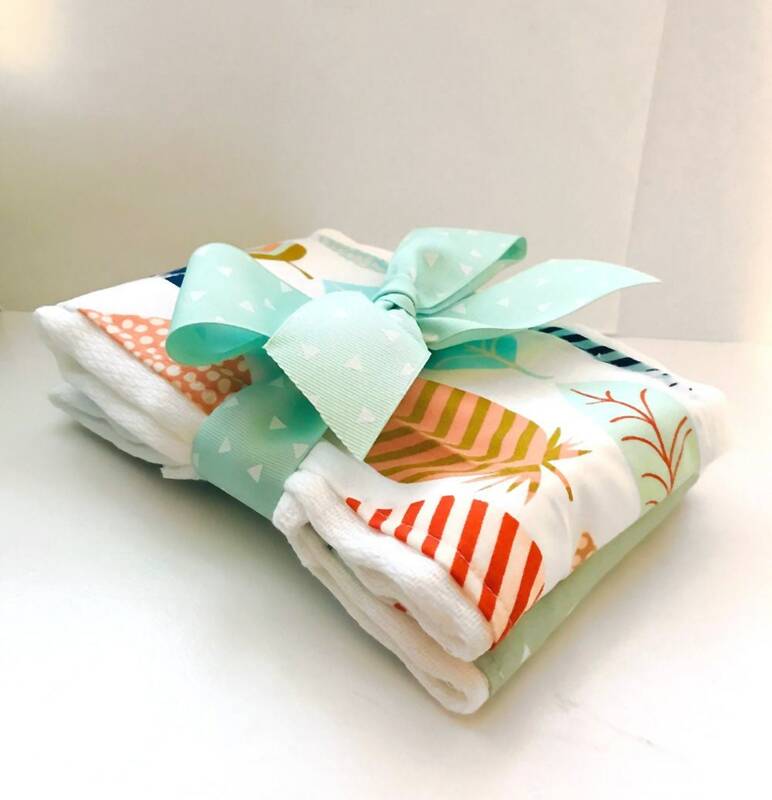 This burp cloth set features feather and triangle designs in popular teal and coral color. Makes a great baby shower gift! 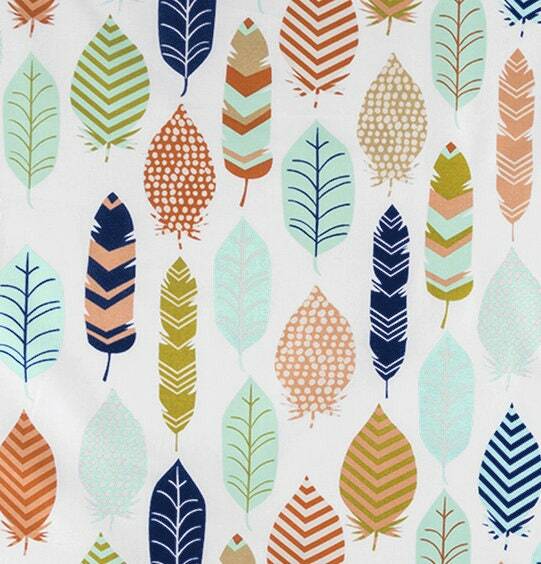 The natural cotton gauze fabric "quills" nicely after washing and becomes softer with every wash. Some shrinkage is to be expected.